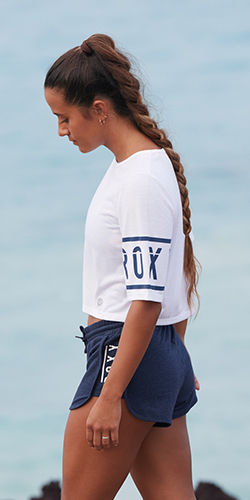 These small coverage bottoms feature sporty surfer shape, low rise, handy inner waist tie and Roxy reflective logo. Model wears size S.
ROXY™ Womens Caribbean Sunset Rally 2 Bikini Pant - These small coverage bottoms feature sporty surfer shape, low rise, handy inner waist tie and Roxy reflective logo. Model wears size S.